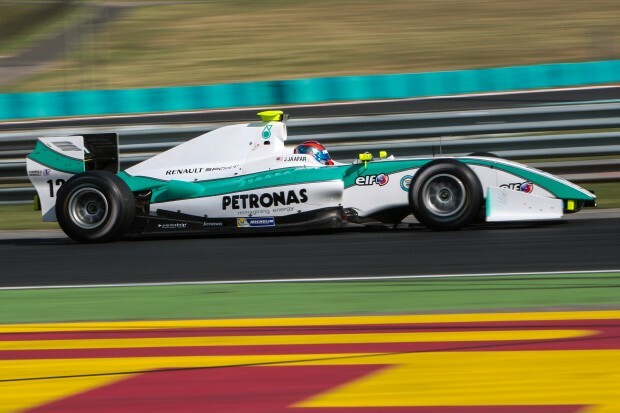 Jazeman Jaafar returns to racing action this weekend with the penultimate round of the Formula Renault 3.5 Series at Paul Ricard circuit in the South of France. Paul Ricard is a circuit which Jazeman raced at in British F3 two years ago, with two top ten finishes. He returned to the venue earlier this year, testing with Carlin in the official World Series test, his only experience of driving on the track in the Formula Renault 3.5 Series car. The 5.8km Paul Ricard circuit includes the famed 1.8km Mistral Straight, and with 167 possible configurations makes it a popular testing venue. The track is also known for its distinctive blue and red coloured runoff areas, which are used instead of gravel traps. The Paul Ricard round of the Formula Renault 3.5 Series starts on Friday with practice sessions. Saturday is qualifying and the first of the two races. Sunday concludes the weekend with morning qualifying for the second races, which takes place that afternoon. Check TV listings for broadcast times.